Very easy to understand. I was given this book when I was about 6 months pregnant. On first glance I thought "oh no not another hippy, love child herbal book", to my surprise (and 5 hours of not so painful joy in the next 4 months) I thank the gods above for having this book, and the grace to follow the suggestions within. This book also helped with the "pink eye" problem that newborns have, and the other strange little wonderful things that happen to a womans body during and after childbirth. A book written by wise women for wise women! Susun Weed's 'The Childbearing Year' has herbal remedies for fertility, pregnancy, childbirth, breastfeeding, and covers related topics such as teratogens (substances that cause birth defects), pregnancy and childbirth complications, post-natal and infant care. There's also a chapter on identifying, gathering, and preparing herbs. There are appendixes on herbal sources of vitamins and minerals, herbal recipes, a glossary, references and resources, and a detailed index. The writing is frank, concise, matter-of-fact, and authoritative. Whether you are planning children or not, everything you need to know is packed into a mere 171 pages. All of Susun Weed's books are available at Wise Woman Herbals. 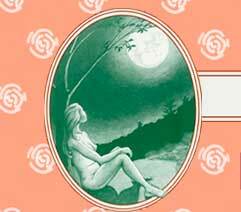 This particular book, Wise Woman Herbal for the Childbearing Year, was published in 1986, and has become a classic. I'd have given a lot to have it when I was pregnant and breastfeeding my three children. I was introduced to 'Childbearing Year' by a local midwife, when I asked her for some herbal remedies that I could give my pregnant daughter. She loaned me the book, and it had everything we needed. My daughter grumbled about my constantly shoving cups of tea at her. But they worked, and after I came back, she called for recipes. While I was away, I found 'Menopausal Years The Wise Woman Way', another Susun Weed book. When I returned, I bought my own copy of Childbearing Year, half-price, through amazon.com. These are two books that every woman should be given at the onset of menstruation, as her birthright. You won't find this depth of knowledge freely given many other places, and certainly not for these modest prices. I absolutely recommend both books. Until recently, I was only vaguely aware of Susun Weed. Now, I'm a huge fan. I'm grateful for her passion and devotion to women's health and well being, through the practice of herbal medicine. Susun Weed is a national treasure, and her books are a Godsend (Goddess-Send? ).